Roger Stone Admits To Lying On Infowars, Will Settle Defamation Suit By Publishing Apologies In Newspapers - Joe.My.God. In lieu of paying the damages, Stone must publish a retraction of the false statements on social media and run ads in the Journal, The New York Times and The Washington Post apologizing for his claims about Guo, who applied for asylum in the U.S. last year after the Chinese government grew hostile toward him. 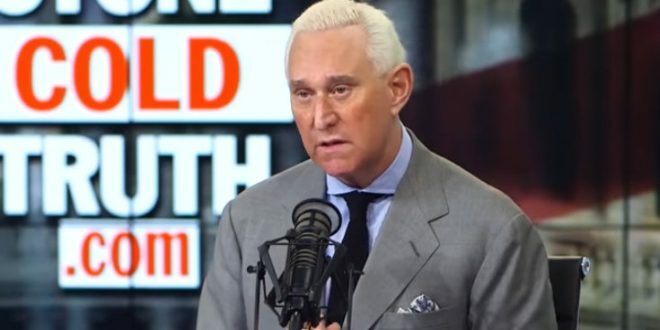 Stone, whose actions during the election are being eyed by special counsel Robert Mueller, said in a statement Monday that his false statements were based on information he received in 2017 from Sam Nunberg, another adviser on Trump’s 2016 campaign. “I failed to do proper research before making those statements,” Stone said. You hear that you loony right wing nuts? Stone admitted to spreading FAKE NEWS on INFOWARS! !